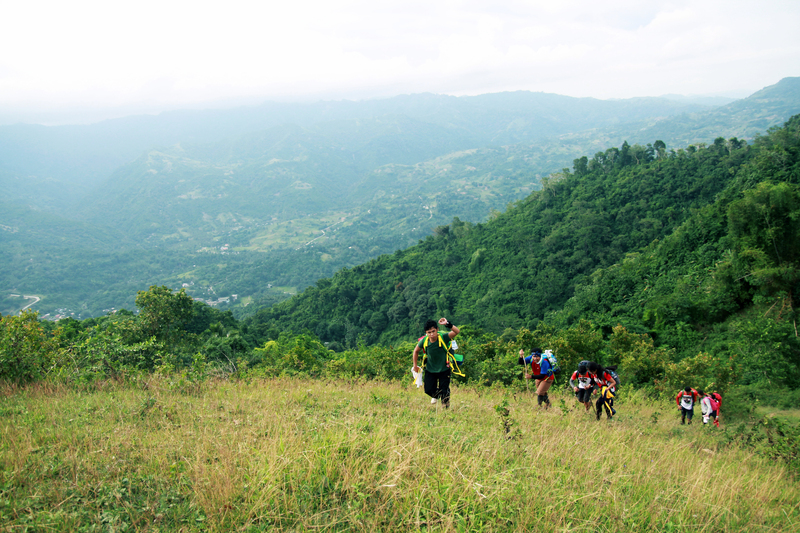 Trekkers rushing to the peak.. The journey without struggles won’t let you taste a nearly so sweet victory! The journey is what brings us happiness, sometimes it’s excruciating, sometimes it’s stunning, but most of the time you can’t appreciate it when you don’t have a little mix of both. 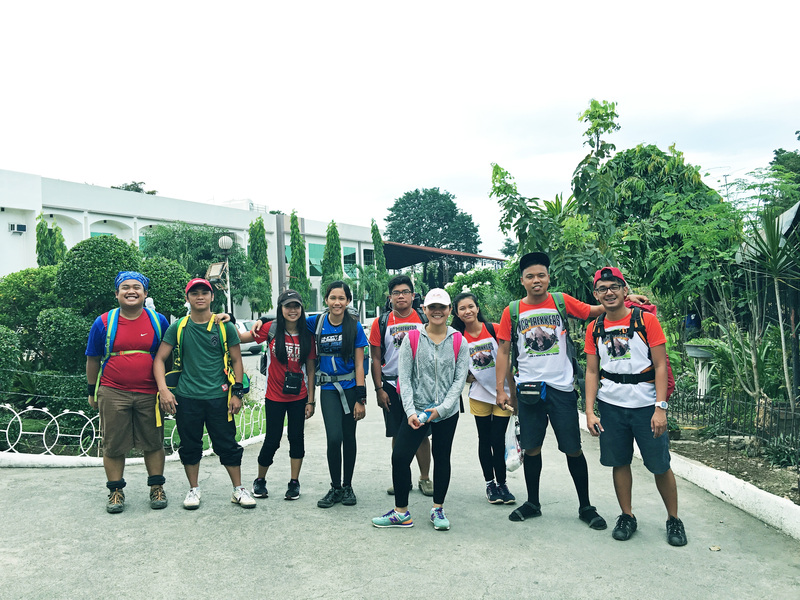 NCR trekkers hit Mt Bocaue one more time. 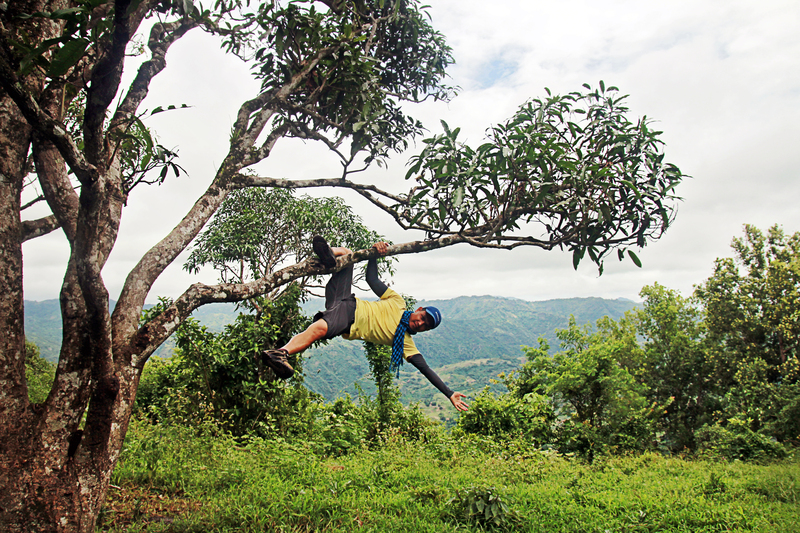 Nowadays, Mt Bocaue has become one of the favorites for mountaineers. Not just because it is the peak less visited but due to its stunning 360-degree view on top. Bocaue is situated right above Bonbon, Cebu. Standing at around 700MASL and within the proximities of Babag mountain range. As I remembered the last time we went there, only few mountaineers knew the place. But now, it has become one of the popular destination to mountaineers who wanted a bit challenging trek. It has been a year since I last visited Bocaue. I am not quite sure if I can recall the trail because we were lost the last time we trekked there. For that reason, I made it clear to the participants that the trek is an exploratory one. The pressure is on as I am the only one who has been to Bocaue among all the participants. To know our last year’s trek story, you can follow the link here. Once again, we had our assembly at Guadalupe church. My bad I was one of the late comers. But not too late though J. Assembly time set was at 7AM and ETD to jump off was at 8AM but we departed at 9:30AM bound to Napo. Yes, we’re late from our itinerary and were okay with that! 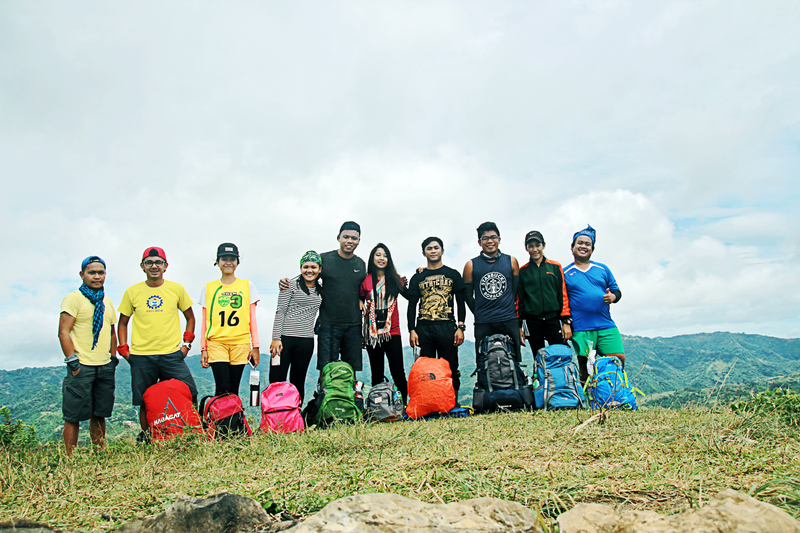 There were no day trekkers anyway so all we need to do was reach the peak before sundown. At the jump off, we had our usual routine: prayer, stretching and group picture. J The trek time was estimated at around 4-5 hours with short breaks in between. The weather was excellent. The sun was not fierce but at that rate, it will be the kind of weather that you might not feel the scorching heat of the sun but still you can get some sun burns. I really expected that the trail to Bocaue via the five towers was really established and perceptible now but to my surprise, upon turning at the junction, the trail was almost covered by thick vegetation. Even thicker than the last time we went there. I started to worry that the remaining part of the trail might be challenging. But as the lead of the group I can’t afford to show that I’m worried, not even a bit. 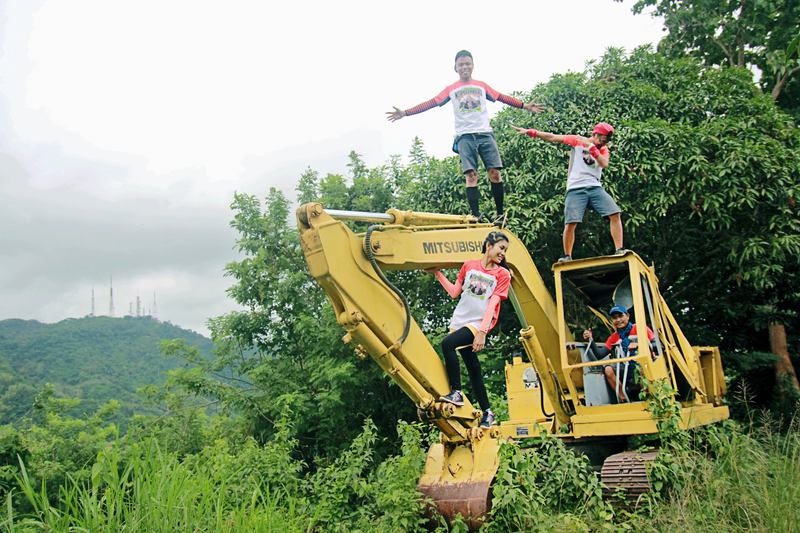 The team was kind of excited on the first part of the steep ascent as the real adventure has officially started. This was the part of the trail where your knees would tremble and your heart will pump out of your chest. Few more steps and there we were, found ourselves catching our breaths and made few more stops. Everyone was counting the towers we passed by as their milestones on how close we were on the peak. I often teased everyone that, upon reaching the fifth tower, it doesn’t mean we’re close. It only means, we could see the Peak afar and that we are just not even half of our journey. J And that’s partly true actually. The peak is visible but not that far as I said it to be. I’m just trying to set their minds not to slack off that much. We had our lunch right after passing the third tower under the luxuriant green canopy of trees. Perfect predicament isn’t it? Catching few Zs, Posing like Crazy and Carrying On! People say you don’t know what you’ve got till it’s gone. Truth is, you knew what you had, you just never thought you’d lose it. After we had taken our lunch, the atmosphere was really good, the shades, the wind is so inviting that we decided to have a nap for almost an hour. I am not a fan of power naps in between treks for the reason that I may feel really tired after. I decided to take few pictures under this startling and secluded setting. The only thing we’d lost this time was the exhaustion from that steep ascent. We don’t mind if were late from our itinerary because we badly needed the time for rest. After the nap, we really needed to double time! We had agreed to have our five-minute break after every 30 minutes of trek to catch up. How this thing got in here? We passed through the 4th and 5th towers. 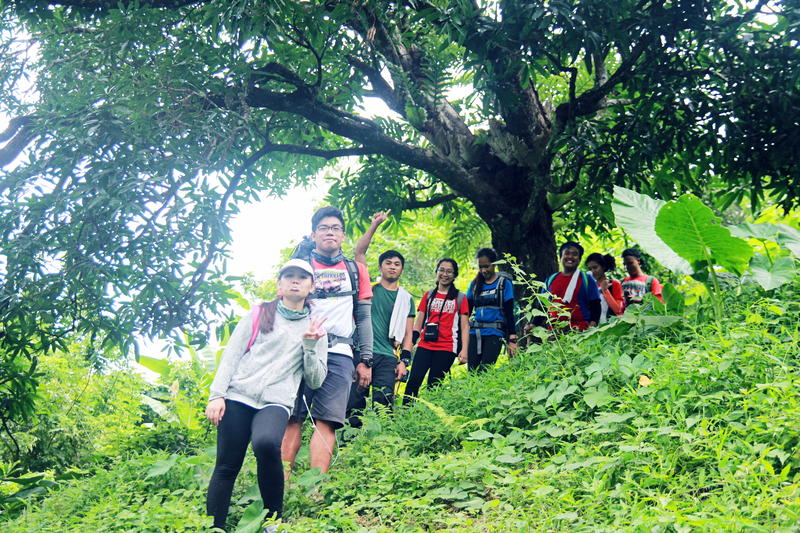 After the 5th Tower, we found the trail that we followed last year, wherein we’re lost in the farm. You can’t expect a different output when you follow the same process all over again. You will end up lost again if you follow the same trail that made you lost in the first place. An error will still be an error until you correct it! I decided to move further on an established trail and find another branch trail that could lead to the junction where we found our way back last year. We passed at least 2 branch trails going down. I even teased the trekkers to help me decide which trail to take. On the third branch trail, I decided that we will follow the trail as it was the next best chance that we could get to the right junction (at bugnay tree). I left the group and did some scouting if the trail was safe as the trail was covered by thick vegetation. The trail is barely visible as the vines covered it. Fortunately, it was safe and I called the group to follow me on the trail down. I was bit worried as we trekked further as the trail was nearly invisible. No traces of footprints! I almost announced to the group that we’re about to get lost. LOL. But luck was within my side as I saw a little clearing not very far from us and I saw few things that looked familiar. I can’t afford to show that I was worried as it might cause some bad effects on the trekkers. I had to keep my cool though. 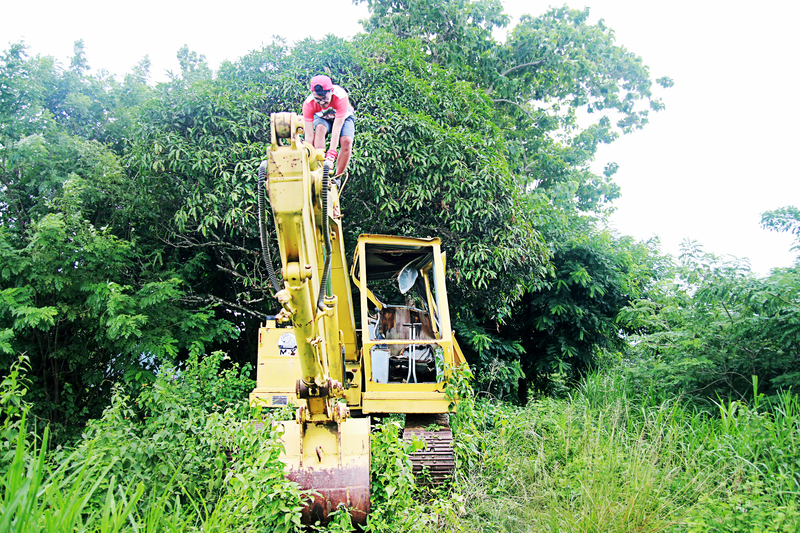 As we proceeded to the clearing, it was really a relief because I saw the bugnay tree and the mango trees. That means we’re following the right trail and we were very far from getting lost as I remembered the trail onward. The trek continued until we had our few minutes break near the local’s house (Caburnay’s residence). The gents wanted to ask for water as they had run out of supply. Fortunately, the locals were very hospitable and gave water and a handful of dragon fruit. They went back after 30 minutes. Another long break! We hurriedly resumed the trek and passed again the almost not passable trail. A challenge indeed! I need to make way for the trekkers though. The trail was fully covered by a very thick vegetation. But that’s not an inconvenience, it’s just a nuisance and we had overcome it! 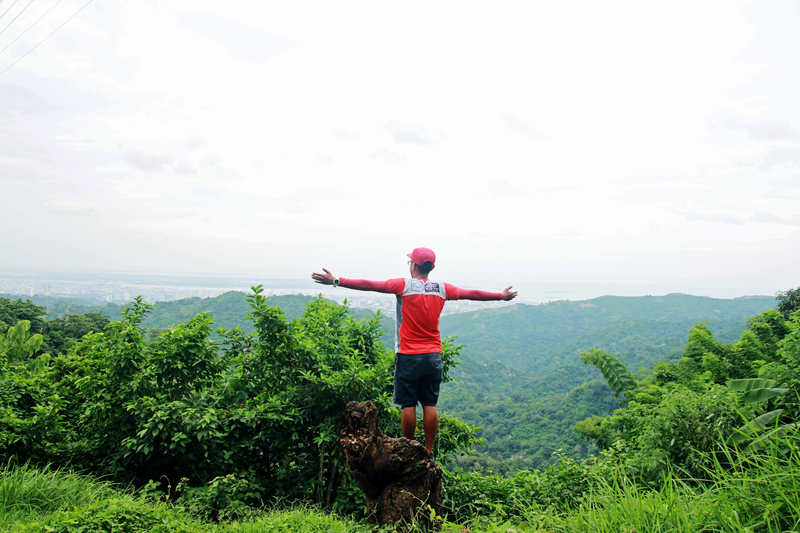 Few more minutes to Bocaue peak: Push some limits! It’s already late in the afternoon and we had to really triple time. LOL. We agreed not to have breaks if not necessary. We reached the junction of the trail from Mount Babag and everyone was very excited to reach the peak. The trail was an easy rolling mild ascent and descent on a ridge like terrain. The pace was excellent! We even ran on the head group to reach the peak as soon as possible! The last few minutes’ trek was nothing compared to the trail we trekked few hours ago. If we did all that in leaps and bounds hours ago, then we can make it in the remaining few minutes with flying colors. The Muffin Peak Sweet Conquest! 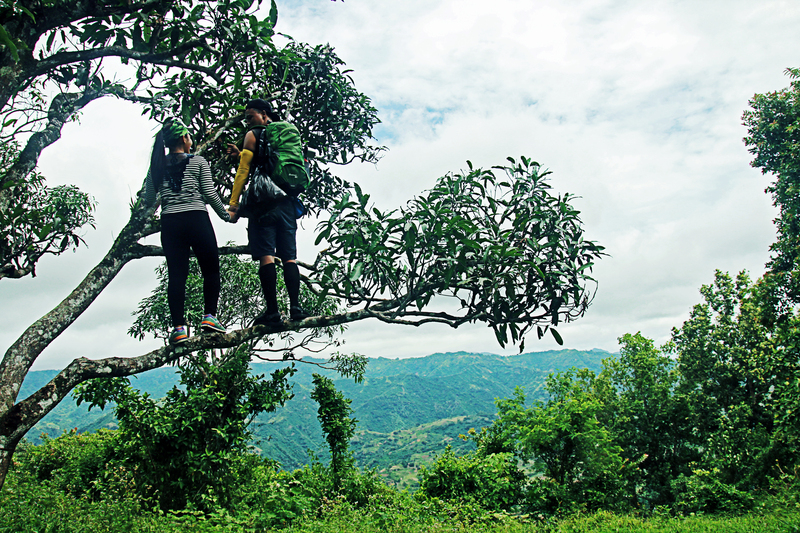 Nothing compares to the feeling of being at the peak after an arduous trek! You can’t fake it and so do I. The feeling is priceless! Bonus was the breathtaking 360-degree view at the peak. The wind was so refreshing. The experience at the peak was invigorating indeed. All the struggles and muscle pains seemed to wane. 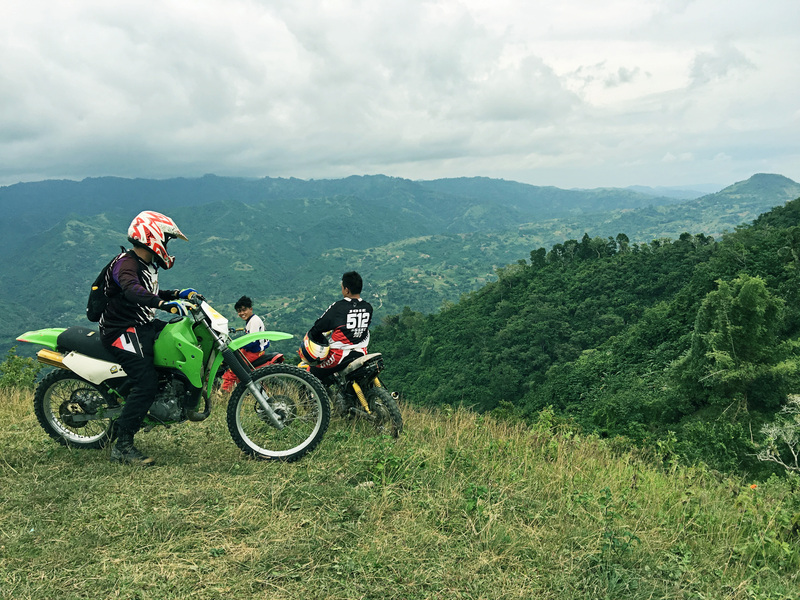 Motor bikers passing through the Muffin peak going to Mt Babag. We pitch our tents on a tempestuous afternoon. The weather conveyed that the rain is about to come. We doubled our tent pegs to keep it on place regardless of the gusty winds. While we we’re cooking our dinner, the wind is so breezy. It drizzled a bit. Setting up camp in the midst of strong winds! At night, the rain showered ruthlessly with the boisterous winds. 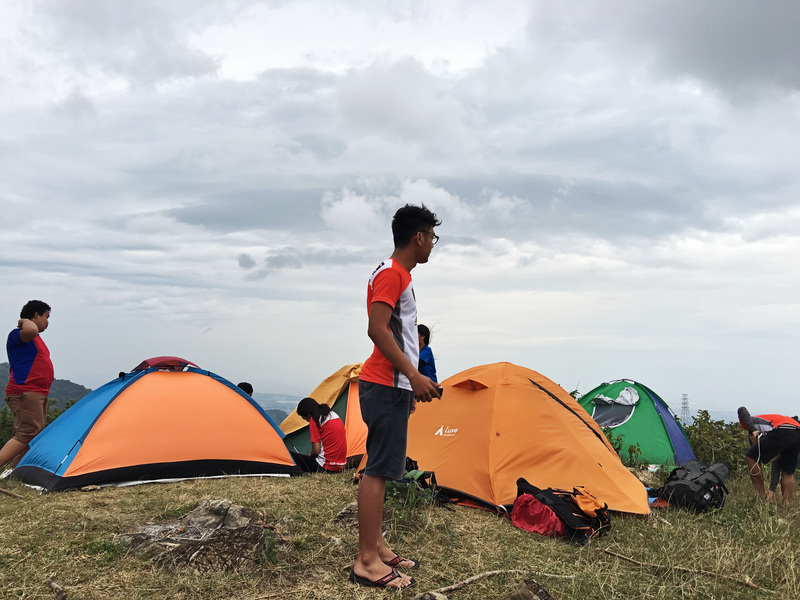 We had socials but due to the stormy weather, most of us went back to our tents to secure our things and made sure that our tents are still in place. Some continued the socials at Robert’s tent but majority decided to stay in our tents and decided to sleep. Unfortunately, I was not able to get a good night sleep or almost no sleep at all. The wind was so cruel that it seems at any time our tent poles might got broken. Our vestibules had been blown out few times actually even if we doubled the pegs in it and used some guy lines. The rain water kept coming in our tent and wet some stuffs, @foureyedlaagan’s phone was not an exemption. The rain must have had soften the soil. 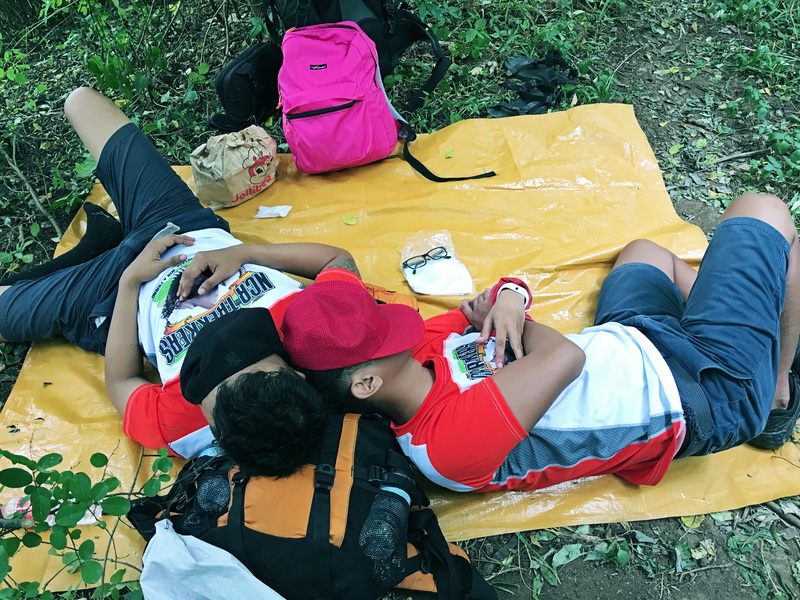 We secured our stuffs and then tried to get some sleep. The rain water has gotten into our tent persistently that we were partly soaked inside. Thanks goodness, my sleeping bag was sort of water resistant. The heavy rain had stopped at nearly dawn. Finally, the group had a serene doze then. The night before was a challenging one. There were a lot of happenings but good thing nobody was harmed but few of us were sleeping in a water bed literally. LOL. We had breakfast. (Thank you to Adrian and VJ for preparing our breakfast… J) Broke camp and got ourselves ready to go home. Group picture before going home. 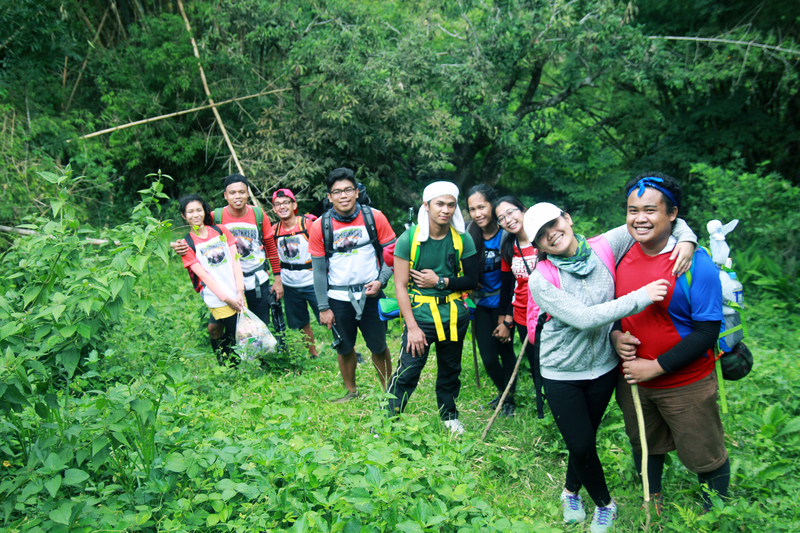 We took the trail going to Mount Babag / RCPI towers as planned then exit to Mountain view then end point at JY Square. 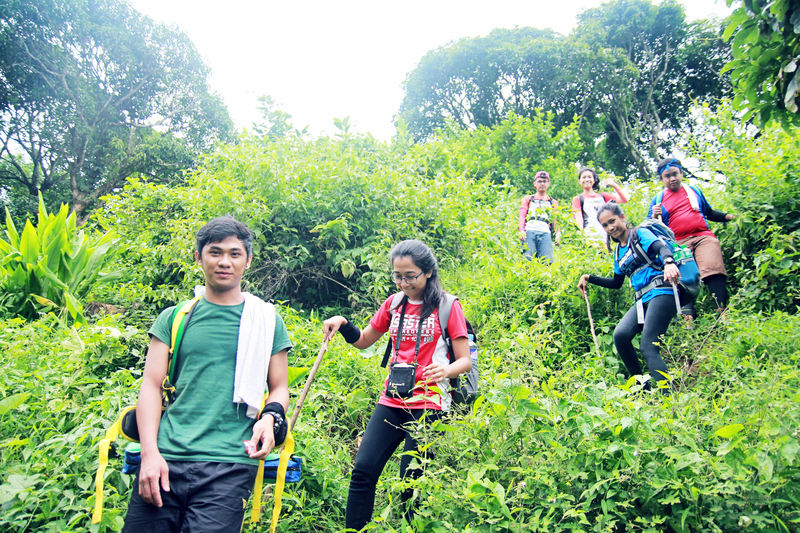 This Bocaue trek really hits me one more time. It has a bittersweet experience this time. The challenges on the trail, the camp site happenings, etc. These things had made me realized one thing, everything happens for a reason and that not all things that happened must be told. There are some questions that must be left unanswered, some truths must be kept buried in the dark and some people must be kept blind. And that’s not selfishness, it’s being logical and protective, needless to say altruistic? 🙂 Happy trekking! Till we meet again Bocaue! Congrats Sir! 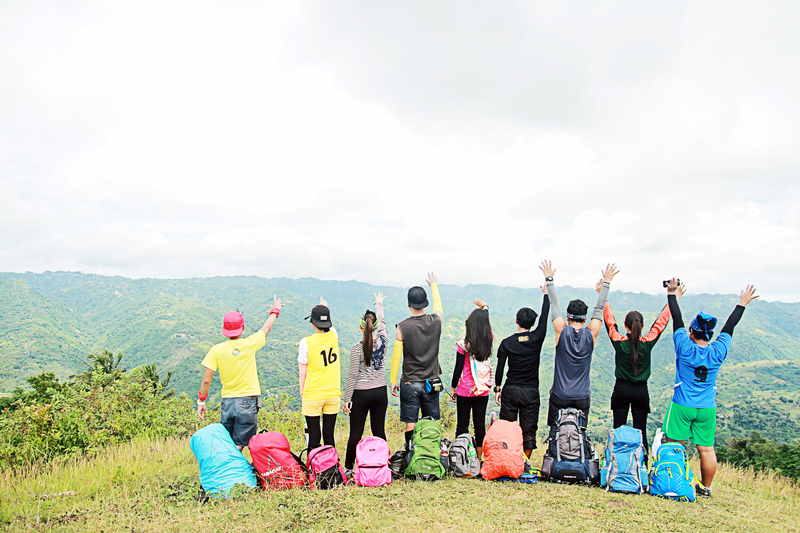 Grabe ang experiences! Nice ra pud na small group ky challenging man xa! Ahw I see. Kato diay ning ender sa August. Reblogged this on NCR Trekkers Club. Here I am again. Re-reading. Just find way to radiate positiveness in whatever situation. Wow, I truly can’t deny my excitement that’s why I end up reading this article for tomorrow’s trek. And wow, It’ll be your third time tomorrow. I can’t wait to reach the peak. Mubasa pud ta panagsa before musaka, murag ganahan napud ko katkat anang Mango tree ugma. Salamat AJ .